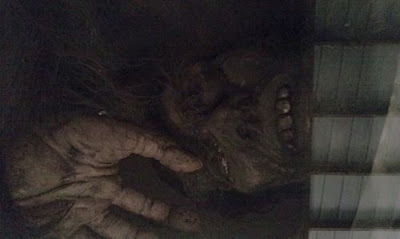 For other info on the new 2013 developments and new appearance of the Minnesota Iceman, please see here. 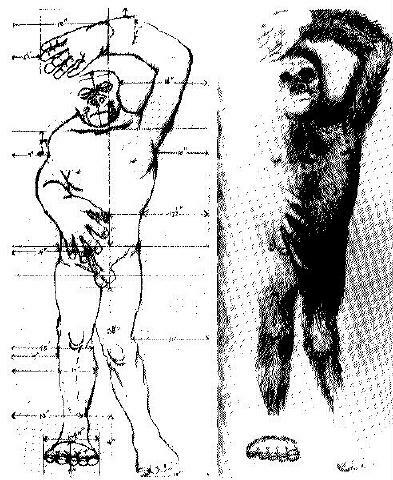 Are these photographs of the original ~ “the” Minnesota Iceman ~ or the model that was used to replace it? 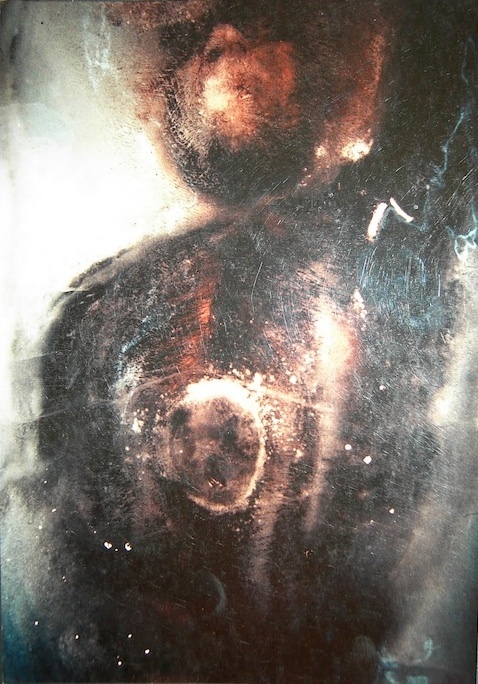 What will be found when the Museum of the Weird’s exhibit is more closely examined? Remember, it was not shown in “carnivals” but at state fairs and stock shows. Frank Hansen was not a “carnie,” but had previously displayed antique tractors at state fairs when he was asked to show the original and then a copy of this mysterious exhibition around the country. 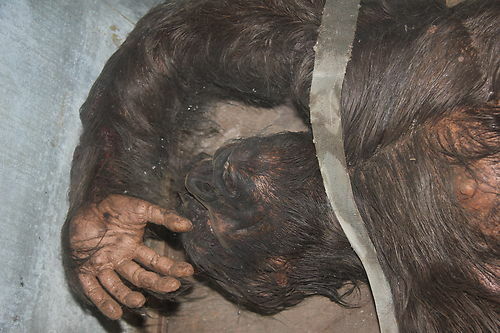 These photographs have appeared on skeptical and sideshow sites of late. 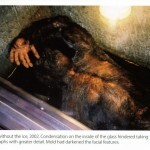 The source of these photographs is via the “the true story behind Frank Hansen’s infamous Minnesota Iceman” in a 2011 book by Rick West, Pickled Punks and Girlie Shows. The book appears available from Rick West’s publisher; please order here. And from online sellers, like Amazon, see here. 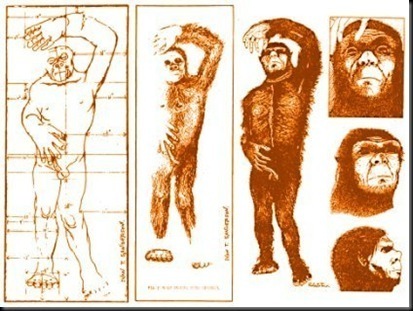 Many images of the drawings of the original Minnesota Iceman, and photographs of the carcass or the model have been published – throughout the Interweb. 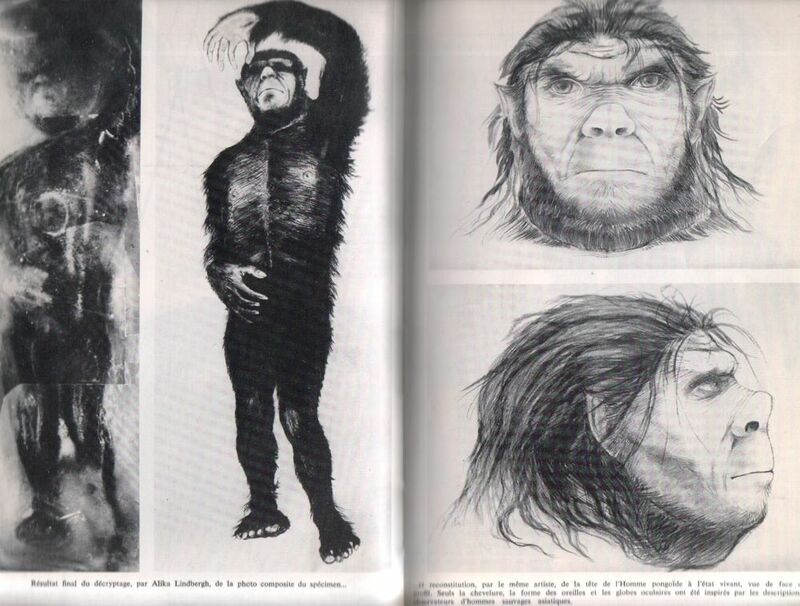 Here are a few, some from Heuvelmans’ book. 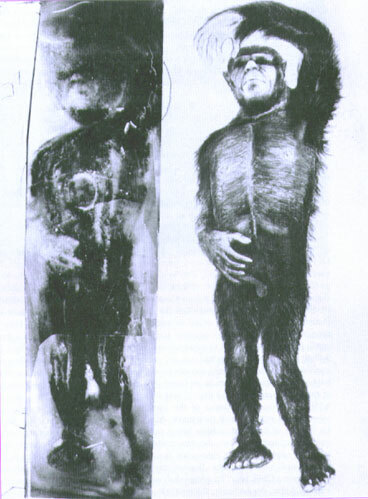 There is a baseline of comparison, through photographs online, some that Heuvelmans took that are housed in ”The Department of Cryptozoology B. Heuvelmans, Museum of Zoology, Lausanne, Switzerland.” But most of those have not been properly reproduced. Some of the line drawings are Ivan Sanderson’s. 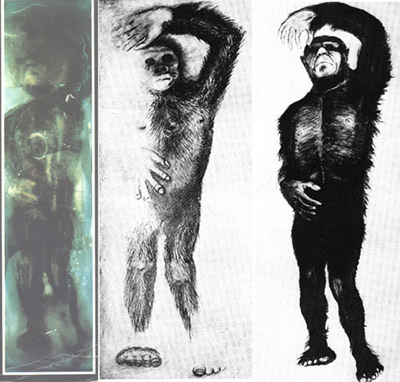 Other illustrations were done for Heuvelmans’ studies and his book. 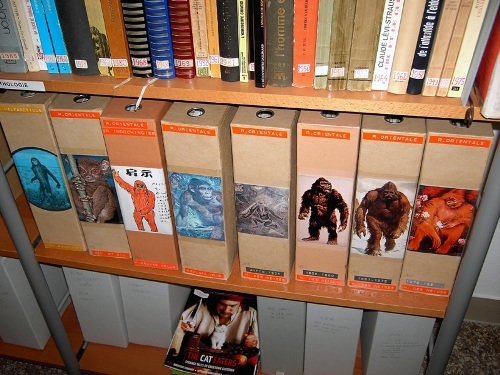 The Museum of Zoology, Lausanne is the sanctuary for Bernard Heuvelmans’ collection of books, paintings, and raw materials, detailing his years of cryptozoology research and gathering of cryptid data. 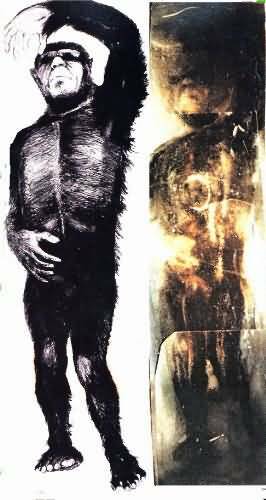 You can more clearly seen how he organized his data on unknown hairy hominiods and other cryptids. 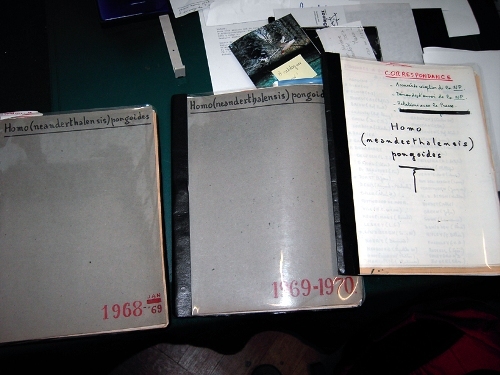 These photographs of the collection were taken and shared with me by Christoph Kummer, who was allowed to begin to examine the Heuvelmans files and then take these photographs, at my request. 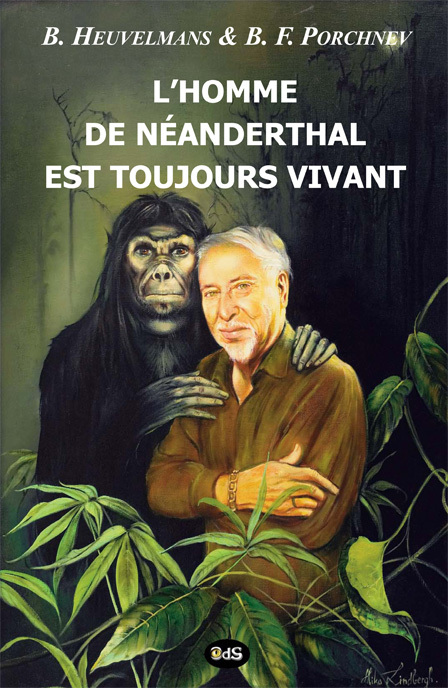 I then asked and was granted permission to publish these photos in 2007, by Olivier Glaizot, Conservateur, Musée cantonal de zoologie, Lausanne, and his associate Michel Sartori. My grateful thanks to them all. 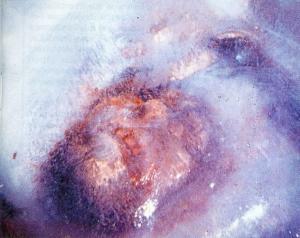 These photos show more of the Minnesota Iceman files, Heuvelmans’ ongoing study of Homo pongoides, which he undertook in some depth. 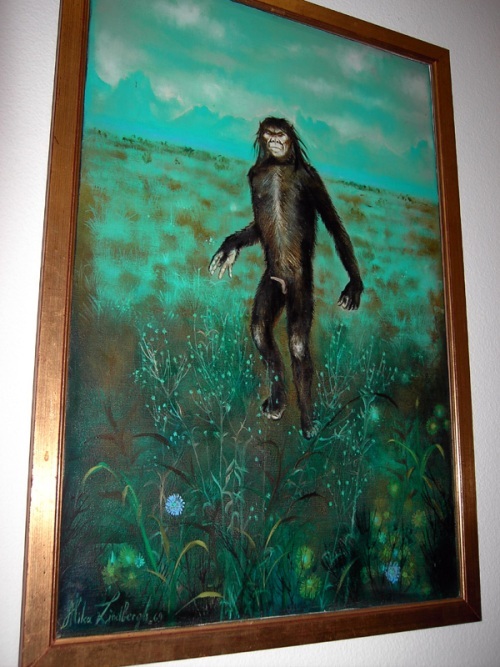 I do not recall ever having seen this painting of H. pongoides before. The discrepancy I see between the pictures is the teeth. The recent picture seems to match the one you took and shows the teeth. But in looking at the picture from their book and their drawings it looks like the mouth is closed. Could two have been made around the same time? If so, where is the other one? Loren, I can’t wait! 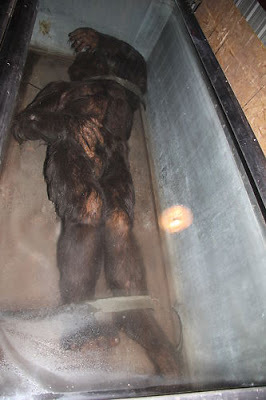 However, unless “this” Minnesota Iceman turns out to be a still-frozen biological specimen, we are – by default, I guess – stuck with nothing but a cleverly constructed gaff. 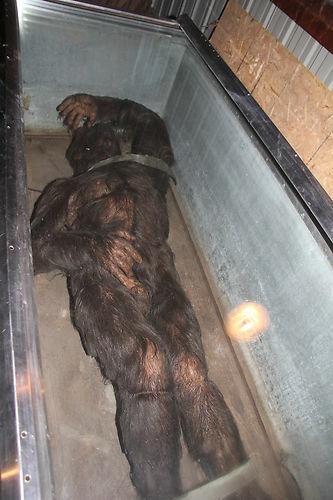 In fact, I’ll bet dollars to donuts that what is revealed at the Museum of the Weird’s unveiling will be nothing more than the so-called replacement (gaff) and NOT the original, allegedly flesh-and-blood, corpse. But… Oh, how I’d LOVE to be proven WRONG on this one!